We have the pleasure of working with brides with so much natural beauty, but makeup artists like Carisa Didoshak still manage to enhance the bride’s naturally good looks with her talented skills! With an entire makeup team dedicated to helping the bride and her bridesmaids get all ready to walk down the aisle, the wedding preparation is a blast! With the help of hair stylist Suzanne Morel, the bride looks like a princess in no time. When a bride has such an amazing team to take care of all of the wedding preparations, she doesn’t have to worry at all and getting ready is a breeze. In this photo, Erica smiles while the makeup artist finishes up her natural bridal look. By the time hair and makeup are finished, the bride is looking beautiful and feeling confident, and she radiates positive energy when she walks down the aisle. As photographers, we love to capture the transformation as the bride’s dreams of her wedding day finally come true before her eyes! 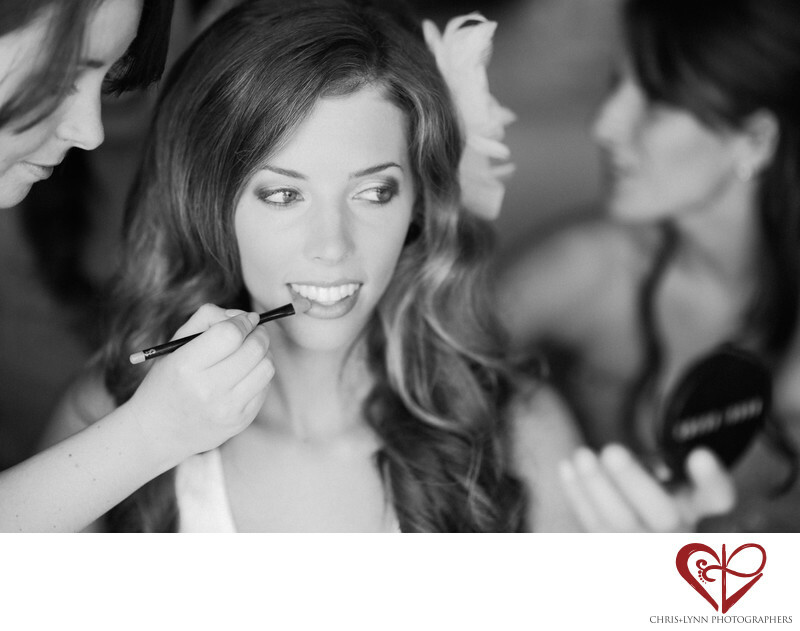 The best hair and makeup artists in Cabo San Lucas make the morning of the wedding stress-free and fun! 1/1000; f/1.6; ISO 200; 85.0 mm.